Our soup-to-nuts sweepstakes management offerings include everything from official rules and winner affidavits to state filing and surety bonds. All contest & sweeps administration services are backed by $1,000,000 Errors & Omissions and Cyber Liability Indemnification policies. We provide general consultation and advice in the conceptual development phase and review contest or sweepstakes advertising and promotional materials to ensure compliance. Count on our regulatory compliance expertise. We'll answer your questions and provide our advice on legal issues regarding the mechanics of your sweepstakes or contest. Based on supplied prize structure and values, we draft a set of Official Rules (and disclaimers, as needed) for your contest, then review revisions and update as required. We ensure proper execution of your social media sweepstakes, from drafting rules to vetting your posts, ads and printed materials. We know which states require bonding and registration. Don't leave it to chance; we’ll make sure your promotion is compliant. We conduct random drawing(s) from eligible entries on a daily, weekly or monthly basis, and/or at the end of the promotion. Via written Affidavit, we verify each winner's eligibility to confirm their compliance and agreement with the Official Sweepstakes/Contest Rules to receive their prize of $600 or more. We submit the required 1099 IRS forms to all U.S. winners who have received a prize of $600+ as well as the corresponding 1096 IRS forms. We set up P.O. boxes to accommodate requests for winners lists, and fulfill copies via return mail to all parties requesting them. We also set up P.O. Boxes to collect AMOEs (alternate means of entries) as required. All company services are backed by a $1,000,000 Errors & Omissions Indemnification Policy as well as a $1,000,000 Cyber Liability Indemnification policy. Leverage our expertise and access to the best professional financial underwriting contacts in the industry to offer an impressive cash prize and pay only a flat rate. 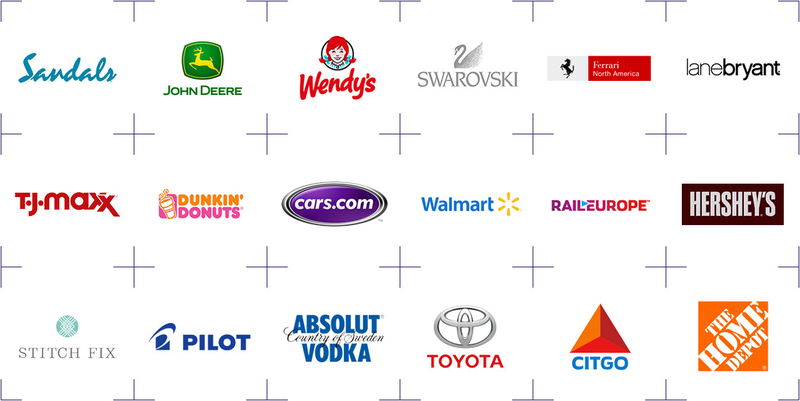 Our experience tells us what works; our partnerships give us tremendous access. Let us select, source and purchase the perfect prize pool for your contest or sweepstakes. Whether you provide the prizes or we purchase them, our fulfillment team packs and ships them to your winners. Costs are based on prize size, weight, quantity and shipping frequency. We handle all aspects of fulfillment for travel prizes, from trip design and planning to accommodation reservations and itinerary management. Our mobile-friendly landing page templates will get your promotion launched quickly. They include official rules and the standard fields for entry and can feature quizzes or survey questions, photo and video uploads, gallery pages, voting functionality, social sharing and more. 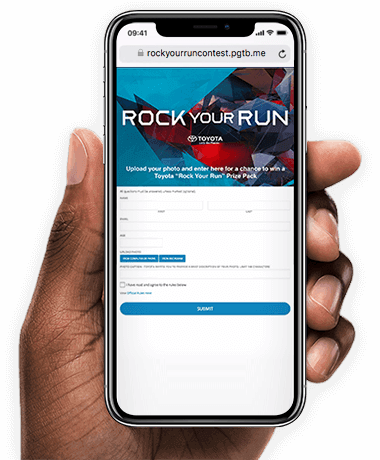 Our cross-platform applications allow you to promote and collect entries for your sweepstakes or contest on your Facebook, Instagram or Twitter channels, by SMS/text message; and/or via a mobile-friendly entry form. Our solutions help you manage every hashtag post associated with your sweepstakes, across multiple platforms, and then embed the results in an online viewing gallery. We partner with a mobile provider to provide SMS, text-to-win and text messaging services. The platform also offers a mobile-optimized sweepstakes entry form that can be used to collect additional data. Is My Sweepstakes Compliant in All 50 States? While you may think it’s easy enough to run a sweepstakes on your own, there are lots of areas that require meticulous compliance and strict oversight. These things can be tricky to get right, which is why we’re here to help. We take on legal compliance, official rules, purchasing & shipping prizes, tax forms, and everything else involved with your promotion. You know your business better than anyone else. We know sweepstakes better than anyone else. Together, we can create a robust plan that will allow you to acquire new contacts, generate more web traffic, and drive sales and store visits. We want to help you develop an audience, create hype over new products, and increase followers on social media.